Kind of like the town of Moab, we have changed and grown since 1961 when we first began toying with the idea of taking guests down the Colorado River and the Green River on newly developed technology: inflatable pontoon rafts. (Hard to believe that commercial river rafting on rubber pontoons emerged simultaneously with rockets, jet engines, and missions to the moon, but hey, that's the way it unfolded - and then inflated). All this "river running" still takes place, more than 50 years later, as Western River Expeditions. The multi-day river trips you book through Moab Adventure Center are in affiliation with Western River Expeditions. Western sold and rented gear for the growing "day trips" business from what we called "The A-Frame" on the north end of town, near the river. Through the 1990's Moab made the transformation from a mining and farming community, that happened to sit between two of the most fantastic National Parks in Utah, with the occasional river tourist needing a place to stay, and the occasional movie crew making the latest film or commercial, into a town that is widely known today as "the adventure capital of the west". Moab's unique geography, and the adventure travel industry were a match made in red rock heaven. 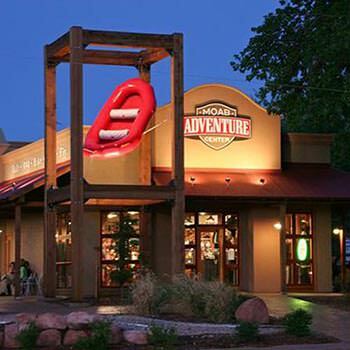 In the early 2000's the old "A Frame" was no longer going to server the growing needs of oncoming tourists, and when the old Taco Bell building on 225 South Main became available, a novel idea was hatched - what if there was a place in Moab to be a "one stop" for all the adventures in Moab? 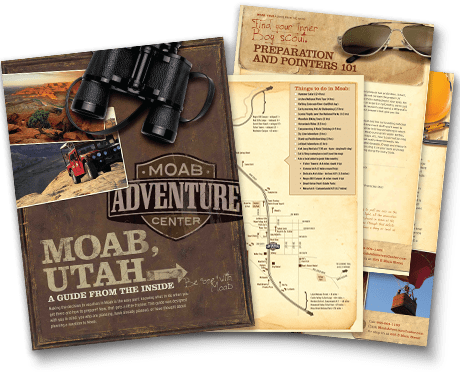 Moab Adventure Center was born.